In 2001, the distinctly blue liqueur Hpnotiq burst onto the scene and became a staple of hip-hop and nightlife. Mentioned in at least 163 songs' lyrics during its heyday, Hpnotiq clearly did something right at launch. But somewhere along the way, Hpnotiq lost its identity, and its popularity died down. Now the brand is trying to make a comeback. With a new campaign, called #Since2001, from creative shop Team Epiphany, the brand is looking to boost its awareness and tap into millennial consumers' nostalgia for the early 2000s—knowing full well that millennials weren't out clubbing back then. "This campaign is based in this nostalgia that a new consumer has for a period of time they were actually too young to remember," said Douglas Brundage, vp of strategy for Team Epiphany. 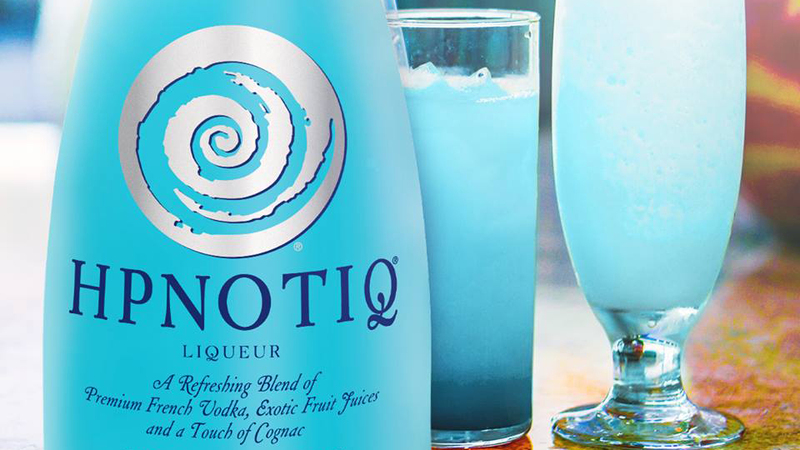 The brand reset looks to go back to Hpnotiq's initial identity as an irreverent, flamboyant, fun liqueur. The push includes a new 90-second digital short featuring rapper Cam'ron, a favorite from the early 2000s. A parody of game shows, the video plays to YouTube's role as an archive of retro videos that let millennials revisit their youth. "The reason why they have that [nostalgia] is the Internet. They can go back and watch old campaign videos, or music and media from this period of time of the early 2000s and look at that as aspirational and fun, even though they were probably 10 or 11 years old when a lot of this stuff was happening." The campaign features out-of-home and Instagram-based assets from artist Naturel as well as house parties featuring performers like Cam'ron, DJ Va$htie and Yung Jake.